The Bolton Post 24 January 2016: A MULTI-million pound energy farm has officially been switched on. 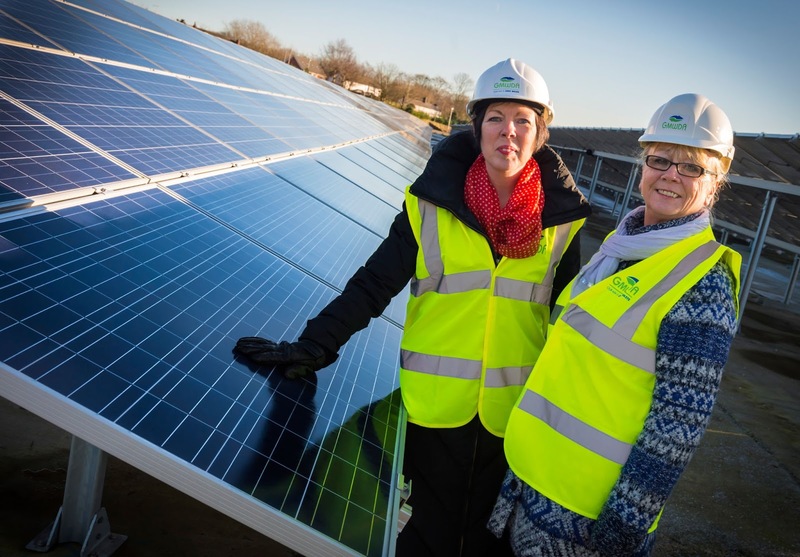 Th new 8,000 solar panel facility is now powering the Greater Manchester Waste Disposal Authority’s (GMWDA) Over Hulton waste recycling centre — with the surplus electricity being fed back into the national grid. Theresa Griffin, Member of the European Parliament (MEP) for the North West England and Councillor Catherine Piddington, Chair of the Greater Manchester Waste Disposal Authority (GMWDA), officially opened the Salford Road Resource Recovery Facility and Solar Farm this week. Guests were invited to tour the newly-built solar farm. The £2 million solar farm was funded by GMWDA and designed and built by...read on.